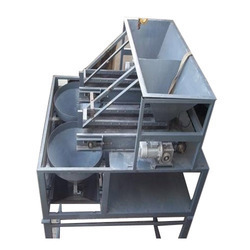 We manufacturing all type powder bag filling machine, like moisturized powder material, fine powder, chemical powder ,acidic powder, dyes also. 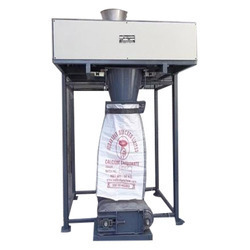 We are leading manufacturer and supplier of Mineral Powder Packing Machine and we are looking buyer from all over India. The offered extent is created with most extreme consideration and flawlessness at our very propelled fabricating unit in conformance to the set mechanical standards. Segments utilized as a part of assembling are all around tried and ensured of their quality. Additionally, our quality investigators test the offered range against a progression of parameters to flush out any probability of imperfection. Being a client-centric organization, we are involved in manufacturing, supplying a commendable range of Powder Filling System. It is prepared with ultra-grade raw material and tested in our sophisticated quality testing laboratory on varied industry laid norms. We specialize in manufacturing, supplying a wide range of Semi Automatic Mineral Packing Machines. These machines are semi-automatic and require less human interface for operations. Under the strict surveillance of our professionals, these machines are designed with ultra-grade components which are collected from the quality-focused vendors. These product are available in the market at highly affordable price range. Owing to our years of experience in this domain, we have been able to bring forth a commendable range of Calcium Carbonate Packing Machine into the market. This product is manufactured by our professionals in accordance with the latest market demands. They used premier-grade raw material in order to design this product. Offered product is highly reliable for longer service life and gives an excellent performance. We are leading manufacturer of Box Type bag Filling and Packaging Machine, Powder Filling machine and Semi Automatic Bag Packaging machine. 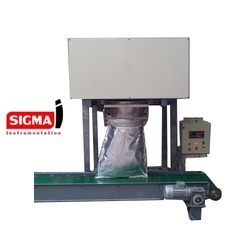 Sigma Automation is manufacturer of Powder Bag Filling Machine as per customer require. 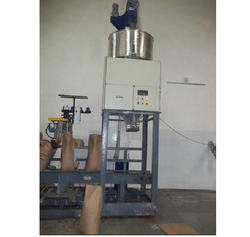 This machine use in chemicals powder , mineral powder, construction material and food grade powder bag packing machine. 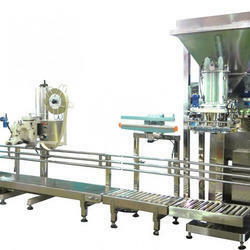 Packing Machine for Powder - 25 Kg an our extensive product range, we are offering Powder Packaging Machinery. It is a world class product. 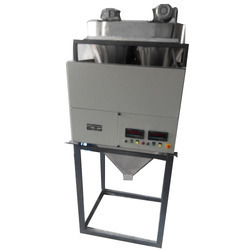 It is an electronic weighing material and then drop in bowl or as plastic pouch . It is a filling machine . Made up of hard body, at some places stainless. 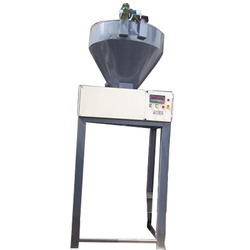 Machine used for bag packing in dry mortar material, grout powder,sand,mineral powder etc industries.